Product #26829 | SKU MP06877 | 0.0 (no ratings yet) Thanks for your rating! This large spool of 1.75mm PLA Filament from MakerBot comes in "robin's egg," a speciality colour from the Martha Stewart Collection. 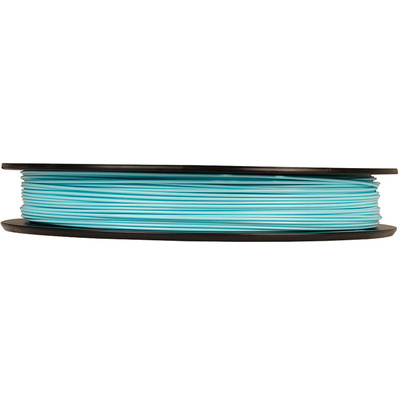 This spool provides 2 lb of renewable plastic material that can be used with MakerBot PLA Printers to print 3D objects. PLA, or polylactic acid, is a bioplastic derived from corn that doesn't emit toxic fumes when melted in the course of 3D printing.